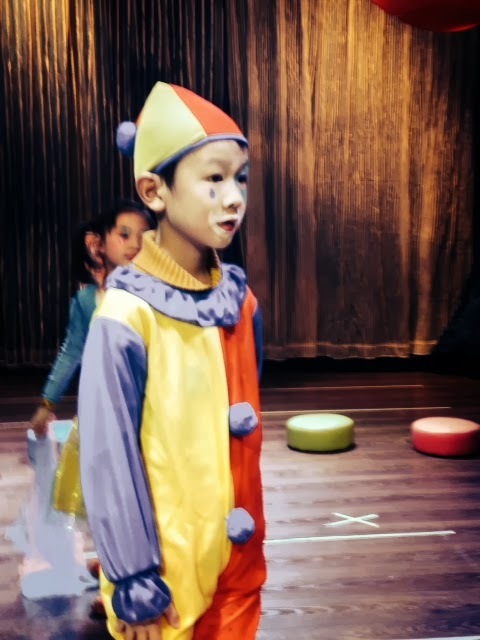 A big round of applause for Beijing's year end performances! Parents were pleased with their children's showcase in "Search the Circus" for the Little Tykes from ages 4 to 6. 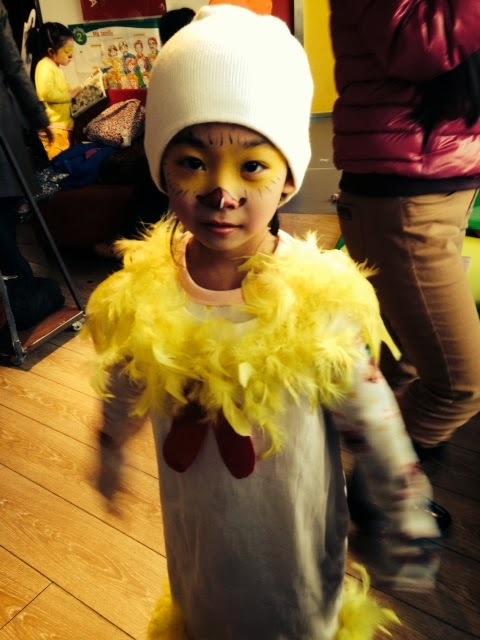 Here's one of the characters - Happy, who lost his red nose! Look out Farmer Giles! Freddy Fox is coming to steal the chicks! 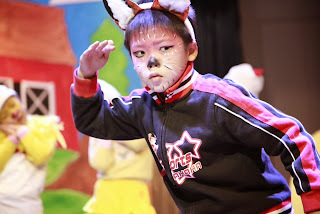 Our beloved Lower Primary play "The Chicken-Hearted Fox" was performed by the Friday evening LP class. Here comes Freddy Fox! What is he searching for? Hmm! Chickens Galore!